Now is your chance to win an all-new 2019 Toyota RAV4 XLE! 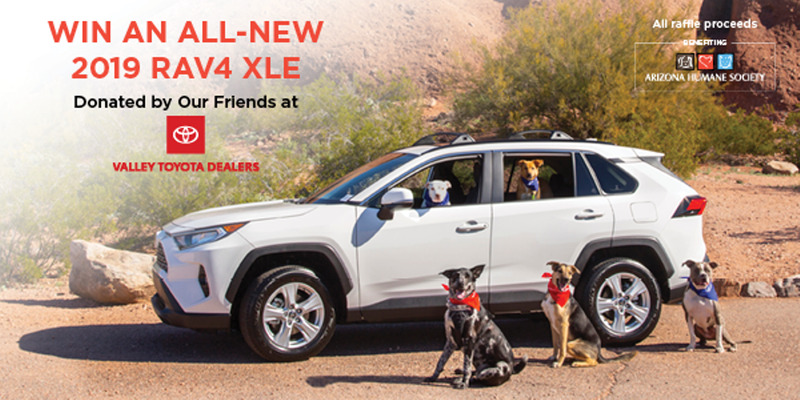 The Arizona Humane Society Car Raffle is revving up thanks to our amazing partners at Valley Toyota Dealers, and you could drive off with an all-new 2019 Toyota RAV4, valued at $30,000. The all-new, all-inspiring 2019 Toyota RAV4 is a familiar name that's anything but the same. The radically new RAV4 breaks the mold once again by maximizing the blend of sport and utility. The all-new RAV4 continues to change the crossover game with its powerful stance, longer wheelbase, flared fenders and sharp creases. The XLE includes extra features such as 8-way power-adjustable driver's seat with lumbar support, height-adjustable power liftgate, heated front seats, Smart Key System and Blind Spot Monitor with Rear Cross-Traffic Alert. 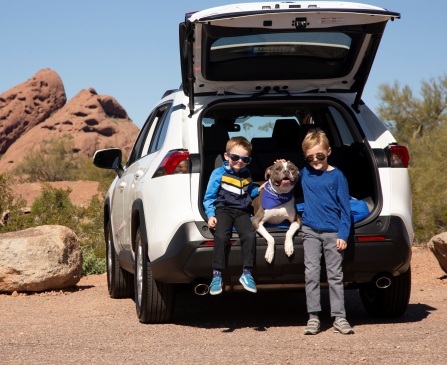 To learn more about the all-new 2019 RAV4, check out the eBrochure. Tickets are $20 each or three for $50, and 100 percent of your ticket purchase will help support the Arizona Humane Society’s programs and services so we can save the lives of homeless pets in our community. Just 7,000 tickets will be sold for this awesome ride, so get yours today before they’re gone! Watch the big drawing on Wednesday, June 5th at noon via Facebook live. You do not need to be present to win. You must be a legal resident of Arizona and age 18 or over to be eligible to win. See Official Rules for more details. Good luck, and thank you for supporting the Arizona Humane Society!